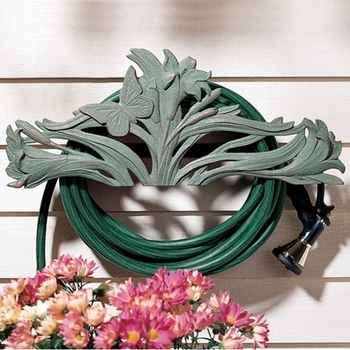 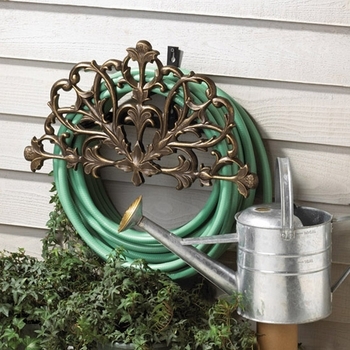 An outdoorsy outlook and fashionable fixture for the always necessary garden hose. 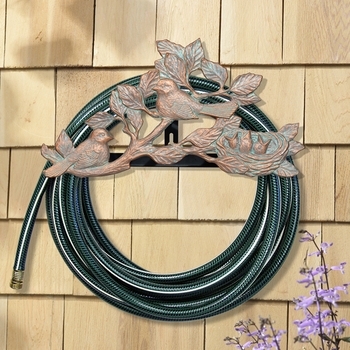 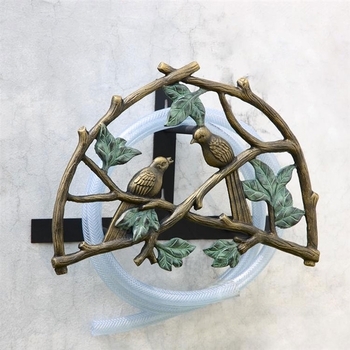 Aluminum branches reach out to house the coiled rubber, while two delicate birds keep a watchful eye. 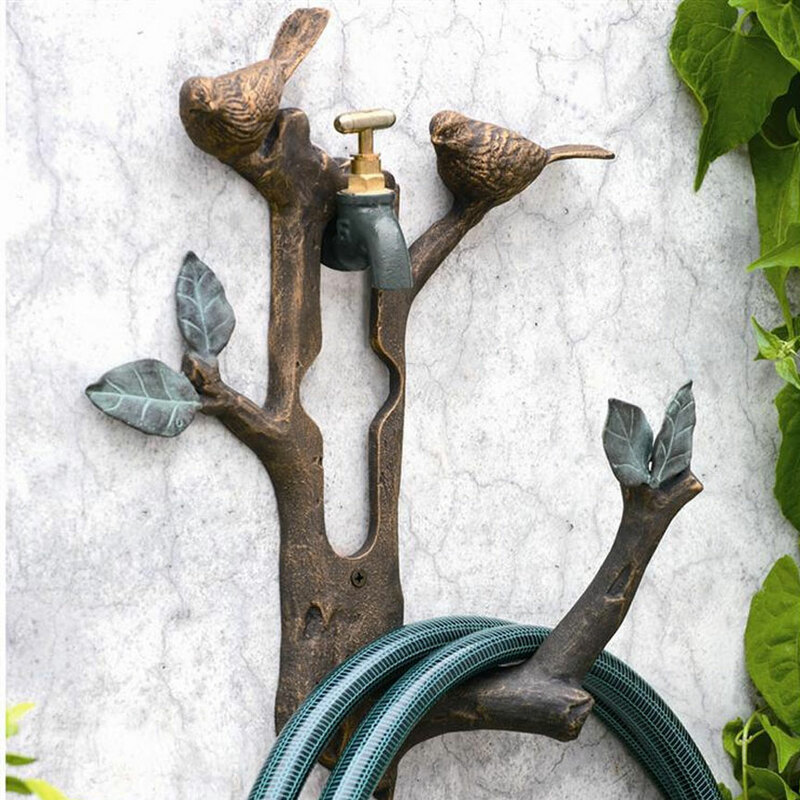 Fifteen inches tall.